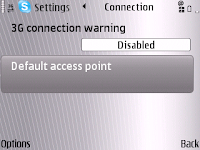 So, I've been using (native) Skype on the E71 for a couple of days now, and it really works quite well. Faster then the Java version (and that's me saying this). And more complete. 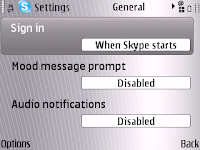 Sign In [When Skype starts]. I changed them to their other respective values, restarted Skype, changed them back, still no change.